Balata Camp started as tents in the fifties, grew cement blocks in the sixties, installed sewage and water in the seventies, and has stretched ever upwards until now. The camp boasts the densest population in the West Bank: at least 25,000 people in a couple of square kilometres (the inhabitants claim up to 40,000). The buildings are so tightly packed that the kids forced out to play in the shadowed alleyways suffer from Vitamin D deficiency, sun deprivation. There are eight to ten people to a residential room. In school there are 50 children to a class. UNRWA schools and the graveyard take up most space. Most of the graves are those of people killed in the streets of the camp. It’s a remarkably friendly place, but also discomfiting. Many of the young are prematurely aged and many of the old seem broken. There’s a higher proportion of wheelchairs than anywhere else I’ve been. In a comparatively wide street I found boys playing table football in front of a memorial to their murdered playmate. They laughed and screamed. A large demonstration was held in central Nablus calling for the release of the thousands of prisoners held in the Israeli gulag. 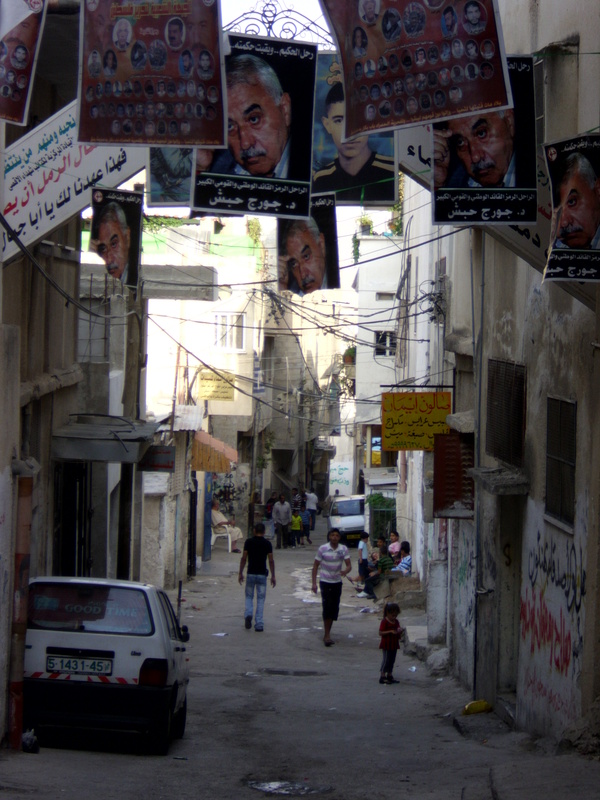 The Palestinian Authority arrested 53 men in overnight raids. I passed a settlement built during Netanyahu’s ten-month settlement freeze. Two settlers were shot in the legs by Palestinian fighters while driving near Hebron. PA president Mahmoud Abbas let slip that he might not pull out of peace talks when the settlement freeze lapses. The Palestinian Authority arrested 20 men in overnight raids. Dana wrote a story about a girl raped by a relative. Hamas forces closed down a Gaza restaurant because a woman had publicly smoked the argileh there. How many Britons are aware of the British-Iraq war of May 1941? Not many. Yet such past wars are the producers of today’s reality. People in Iraq remember. If Westerners don’t remember the past they will inevitably fail to understand the present moment. 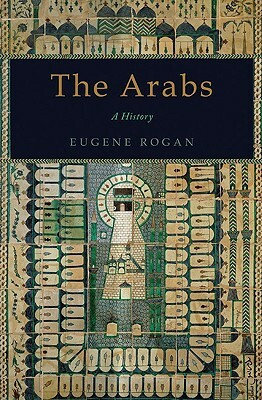 The urge to remind the reader so as to better contextualise the present is the laudable motive energising Eugene Rogan’s “The Arabs. A History,” which covers the last five hundred years. In the early years, Ottoman rule “in the Arab provinces was marked by great diversity and extensive autonomy.” Sulayman’s perspicacious laws, public building projects and reasonable prosperity followed. But the global centre of gravity was shifting, and the long decline set in. This was written six months ago and recently published in Political Insight. A sigh of relief blew across Syria when the Bush administration was retired. Bush had backed Israel’s reoccupation of West Bank cities, described Ariel ‘the Bulldozer’ Sharon as “a man of peace”, given Syria two million Iraqi refugees and an inflation crisis, and blamed Syria for the assassination of Lebanese prime minister Rafiq al-Hariri. 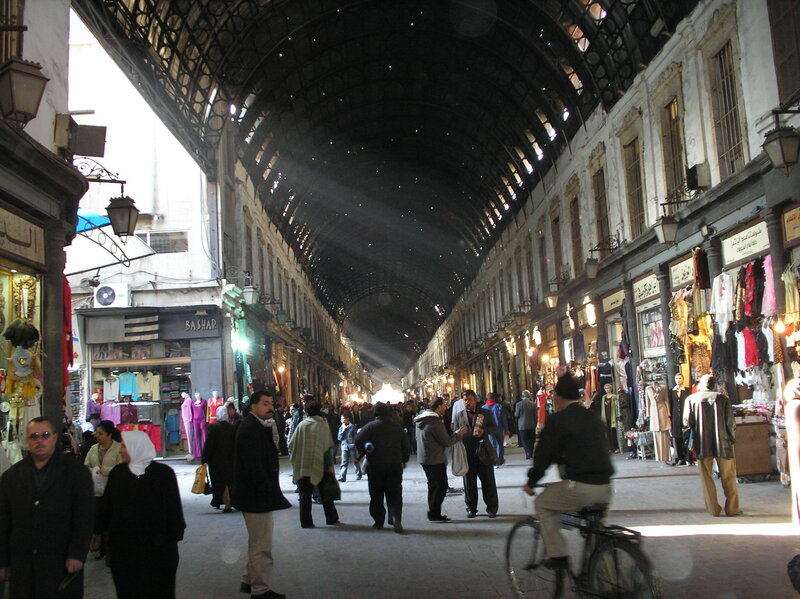 Veiled American threats of “regime change” scared the Syrian people – who observed the blood rushing from neighbouring Iraq – almost as much as they scared the regime itself. So not much has changed. The neoconservative language is still in place, the same elision of distance between American and Israeli interests, and between anti-occupation militias and al-Qa’ida-style terrorists, plus a flat refusal to understand that the countries really under unusual and extraordinary threat of attack are Syria, Lebanon, and – Netanyahu’s “new Amalek” – Iran. 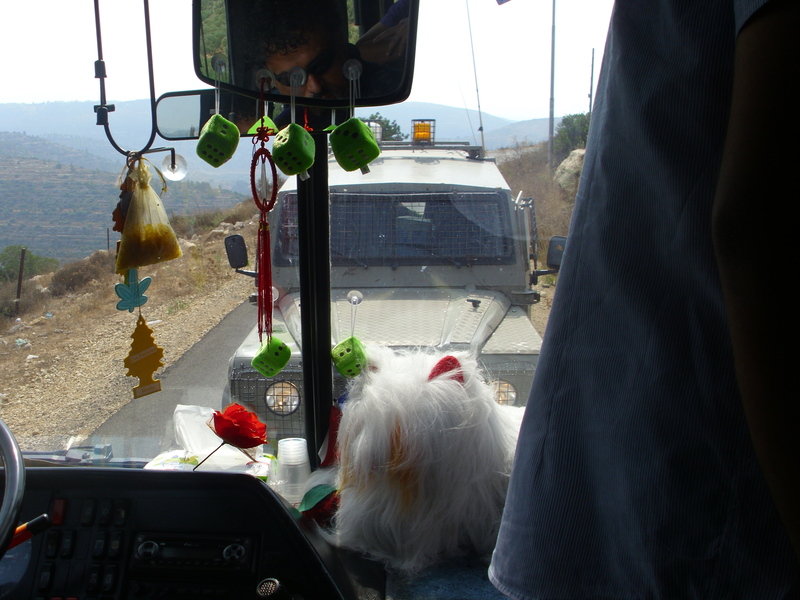 During the journey from Ramallah to Nablus I got talking to the middle-aged man sitting beside me. It turned out he’d been in prison for five years, cramped in a cockroach-run tent with tens of other men. At the kiosk at the end of my street I got talking to a white-haired young man. A few nights earlier the two owners of the kiosk had been taken away in an Israeli jeep. The white-haired man’s brother had been killed in 2007. He himself had done eleven years inside. I got talking to a writing student whose brother was constantly detained. A Palestinian friend of mine who now lives outside did ten years in Israeli jails. Two and a half of them were underground. 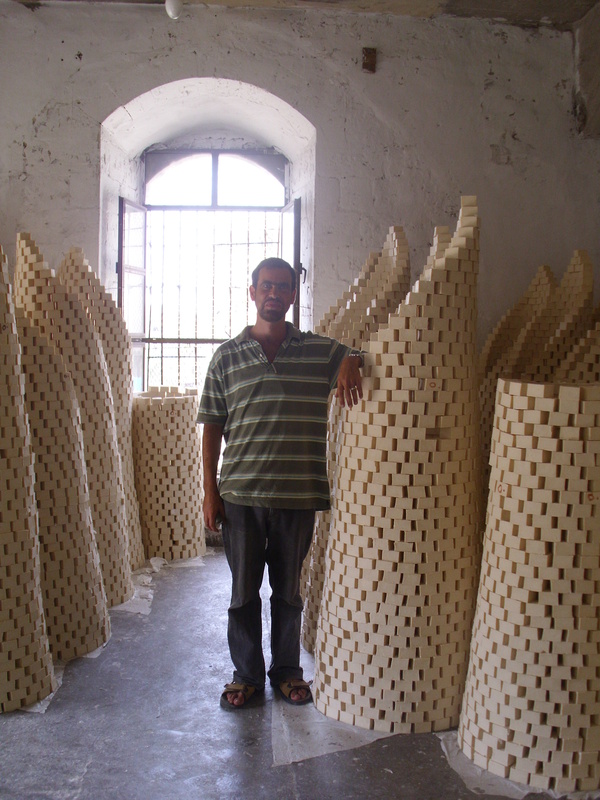 Almost every male I met in Nablus had been imprisoned at some point. There are at least 8500 prisoners currently inside. But my friend tells me he felt more free inside the small prison than he did inside the larger. So here’s the statistic that counts: in all the territories controlled by the apartheid state of Israel there are 5,300,000 Palestinian prisoners. 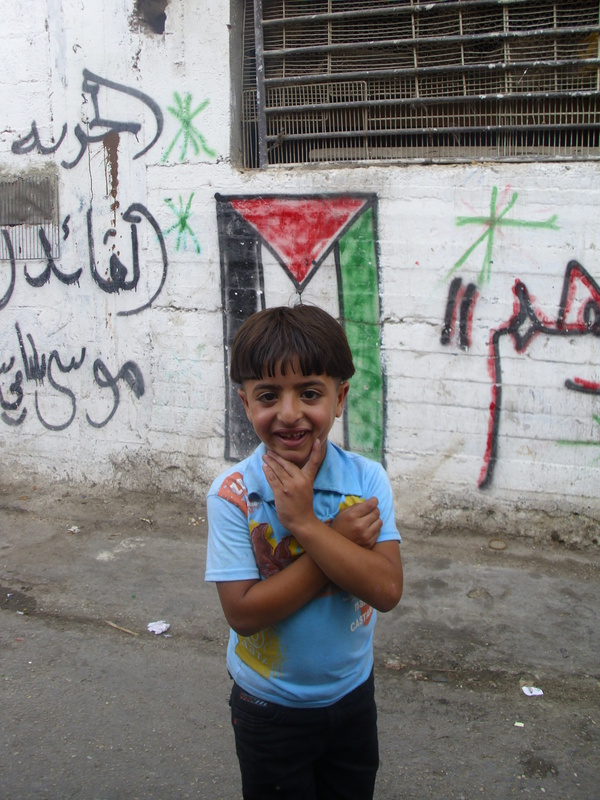 The other half of the Palestinian people is locked outside in exile. Here’s Saed Abu-Hijleh describing temporary detention.